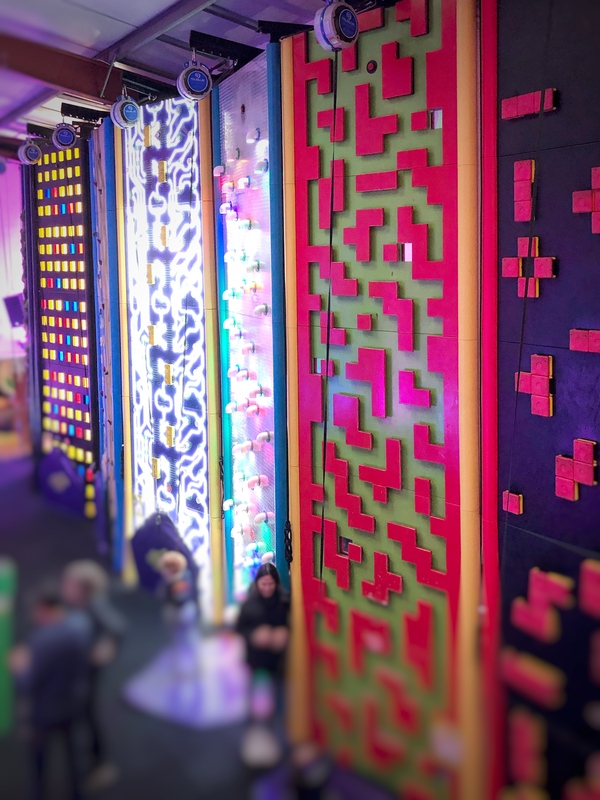 It was Little Man’s first visit to Clip ‘n’ Climb Chelsea last week and I absolutely loved it. Of course it was easy to get excited about all the climbing walls and ladders from the balcony as a spectator. For a 5-year old who likes to keep his feet on the ground it’s an entirely different experience. At first seeing my son looking so small on the floor below made me feel helpless. I wondered how he was going to navigate his way round while his fearless best friend clambered up the walls with the energy of a superhero on a good day. But Little Man did it, he figured it out for himself. And this was one of the reasons I love Clip ‘n’ Climb. While it is possible for parents to be down on the ground with their little ones, also strapped into their harnesses, the rest of the parents who didn’t fancy climbing the walls were safely located above ground. This gives the kids the chance to explore and take risks within a safe environment. They’re tempted to step out of their safety zones by the exciting draw of the huge red button at the top of the climb or for the bigger kids, the chance to leap into the air and trust they’ll be able to grab their goal with both hands. In London there are not many places for kids to test the limits and to take risks. Everything is normally so controlled and safe and with science telling us that risky play is good for kids, Clip ‘n’ Climb is somewhere children in Chelsea can take those necessary risks.